The only thing certain is change--even in a place as steady as Perry, Alabama, on a street as old as Glory Road. Nearly a decade after her husband's affair drove her back home to South Alabama, Jessie McBride has the stable life she wants--operating her garden shop, Twig, next door to her house on Glory Road, and keeping up with her teenage daughter and spunky mother. But the unexpected arrival of two men makes Jessie question whether she's really happy with the status quo. When handsome, wealthy businessman Sumner Tate asks her to arrange flowers for his daughter's lavish wedding, Jessie finds herself drawn to his continued attention. Then Ben Bradley, her lingering what-could-have-been from high school, moves back to the red dirt road, and she feels her heart pulled in directions she never expected. Meanwhile, Jessie's fourteen-year-old daughter, Evan, is approaching the start of high school and navigating a new world of emotions--particularly as they relate to the cute new guy who's moved in just down the road. At the same time, Jessie's mother, Gus, is suffering increasingly frequent memory lapses and faces a frightening, uncertain future. In one summer, everything will change. 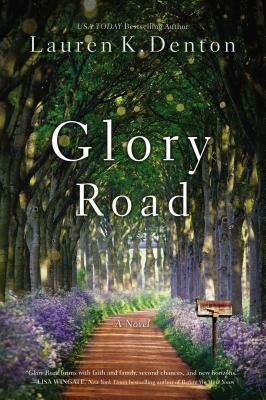 But for these three strong Southern women, the roots they've planted on Glory Road will give life to the adventures waiting just around the curve.